The storage facility industry has continued to be a profitable business. Still, success isn’t guaranteed. Even a new built, well-managed storage unit isn’t perfect without attention to two things: occupancy rate and competitive prices. Storage occupancy rates are always fluctuating. Recently, trends of minimalism, a slowing housing economy, and the increase in the number of self storage facilities being built have decreased occupancy rates. 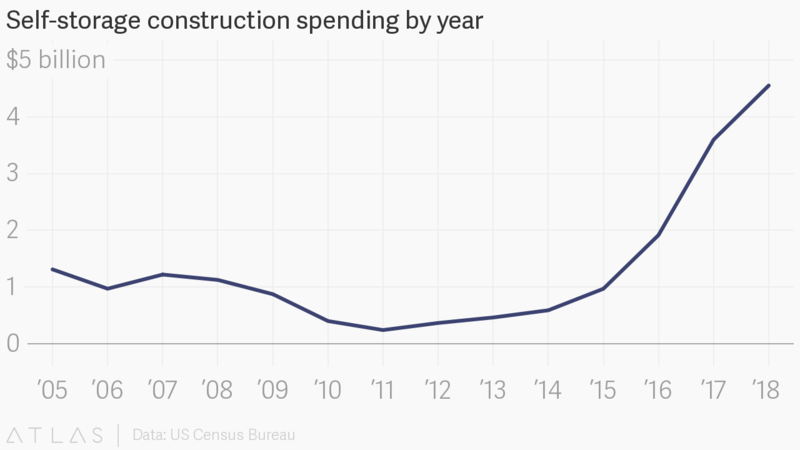 Construction costs for new facilities were $2 billion in 2016, over $3.5 billion in 2017, and 2018 finished right under $5 billion. 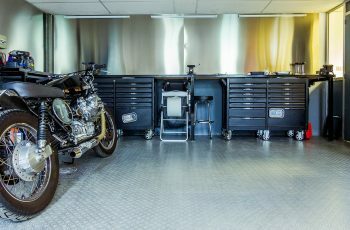 As the market potentially slows and new competition emerges, it’s important for storage facility managers to develop a solid understanding of their occupancy rate as a measure of profitability. What is an Occupancy Rate? A self storage occupancy rate is the measure of the usage of your storage facility. The most common metric is the ratio between the occupied units and total units. This is called the unit occupancy rate. For example, if your storage facility has 300 units and 225 are currently filled, then you have a unit occupancy rate of 75%. This number is also called the physical occupancy rate. The unit ratio is valuable in helping you get a quick glance at the health of your storage facility. No doubt that number is always on your mind as you interact with customers and plan your marketing. Did you know there are two other occupancy rates to know? They are square foot occupancy rate and economic occupancy rate. Both will give you deeper insight into your business health. The square foot occupancy rate measures the usage of the space of your storage facility. Whereas the unit occupancy considers units, the square foot occupancy considers the entire facility as if it were one plot. Let’s examine how this works by imagining a fake storage facility. Say you have 300 storage units. 100 are 5×5 units, 100 are 10×10 units, and 100 are 10×20 units. All in all, you have 32,500 sq/ft. To express the square foot occupancy rate, you merely divide the used storage by the total storage. If 16,250 sq/ft are occupied, then you’ll have a 50% square foot occupancy rate. To really make sense of this number, it’s best to track the square footage by unit size. You can make a table to help. Here’s a sample square foot occupancy table for reference. As you can see, I made up numbers so that we had a 75% unit occupancy rate, which you’ll find on that second line. If you stopped your analysis there, you’d miss the out on deeper insights. The next line with the square foot numbers tells a more detailed story. In this example, the 5×5 storage unit is very popular. It alone has a 90% unit occupancy rate. On the other hand, the large 10×20 storage units aren’t so popular, and only 55% are occupied. Because these units are bigger, and because fewer are rented, this pretend storage facility takes a big hit on the large storage units. When you add up all the square footage, you find the occupancy rate is only 65%. This storage facility would have missed a key insight had they not looked at square foot occupancy rate. Now, let’s imagine the opposite scenario, where the 10×20 storage units are the most popular. This time, the 5×5 has a smaller unit occupancy rate, but it doesn’t hurt the square foot occupancy as much. The 10×20 is very popular, and because each one of these units accounts for more square footage, it dramatically helps the square foot occupancy rate. Instead of 65% square foot occupancy rate, we’re up to 85%. Again, if you had only considered the unit occupancy rate, then you would have mistakenly thought your storage unit was less occupied than it really was. You may have noticed another interesting thing from these tables. When the square foot occupancy rate is lower than the unit occupancy rate, that means that smaller storage spaces are more popular than large. In other words, you have a lot of square footage isn’t being used. The same is true on the other end. If the square foot occupancy rate is higher than the unit occupancy rate, then the larger storage units are more popular. 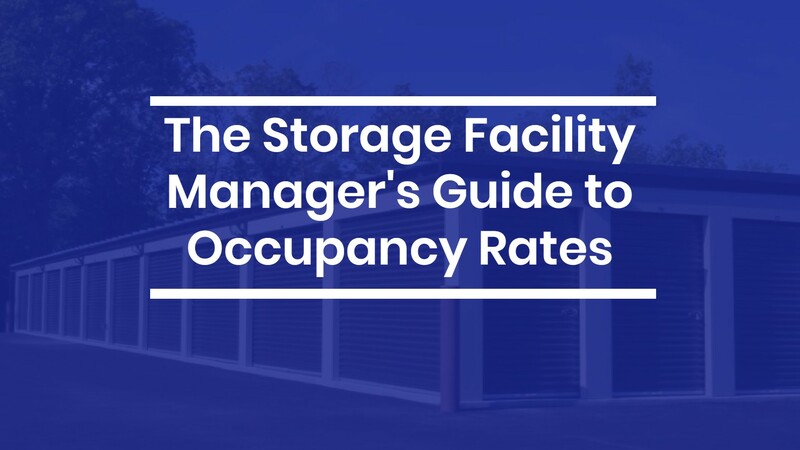 Knowing these numbers is a quick way to recognize where your storage facility can gain more customers and where you may be missing opportunities. If your big units are all filled up, you can market and push your small units, and vice versa. The economic occupancy rate is a measurement of the gross revenue of your storage facility. This number is more important than the unit occupancy rate and square foot occupancy rate because it deals directly with revenue. Because we’re adding money into the equation, know that the rest of this section uses a little more math. For a simple example of economic occupancy, let’s imagine that our pretend storage unit sells every unit at $100/month, no matter the size. If you have 300 units, you can expect to make $30,000/month. That’s the max revenue possible. The economic occupancy rate is just the percentage of potential revenue that you’re actually hitting. How much out of the $30,000 dollars are you actually making? If 225 (75%) of your 300 storage units are occupied, and billing at a $100 flat rate, you’d make $22,500. In other words, at a flat rate, your unit occupancy rate is the same as your economic occupancy rate: 75%. No storage unit is going to charge a flat fee for every unit size, though. Most storage facility pricing makes small storage units more expensive per square foot and large storage units less expensive. In other words, a 5×5 unit might be $1.3 per square foot while a 10×20 unit might be $.7 per square foot. What happens to the economic occupancy rate when there are different priced units? Note that I used the same unit occupancy as the last example, 55/100, 80/100, and 90/100. The table below shows the unit occupancy, price per square foot, price per each unit, and then the total economic revenue for each unit size. Although I didn’t show the math, I also found the max revenue for each all 300 storage units. Let’s only look at the 5×5 units for now. Remember, 55/100 are occupied. We’ve priced each unit at $1.3 per square foot. At 25 sq/ft, this means the total price of that unit is $32.5. Then, $32.5 is multiplied by 55, or the total occupied 5×5 units giving us $1787 (rounded down). You can see the same math happening across the table. After finding the revenue of the occupied units for each size, I added them up. Then, I divided them by the max revenue. All in all, we are running at an 82% economic occupancy rate. In other words, if the most I could make is $27,250, I’m making 82% of that potential. Now, for those of you who are want to do a little bit more math, you could also figure out these numbers by focusing on the price per square foot. Essentially, instead of figuring out a total unit price, I’m just sticking with a square foot price and multiplying it by the available units and their square foot. You can see that we ended up with the same number, 82%. We could find the same numbers given a different unit occupancy for each size, like when our 5×5 units were the most popular size. Now that you understand how the economic occupancy rate works, let’s put it into practice and think about pricing. 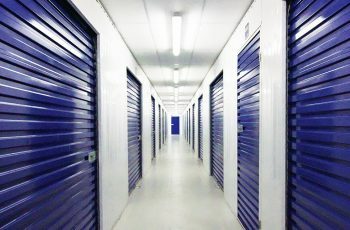 Imagine again that every storage unit costs $100/month, no matter the size. So if we have 300 storage units, and 100% occupancy, we’ll make $30,000 this month. But who really has 100% occupancy? No one. It’s more likely that we have 85% occupancy. If that’s the case, we’ll be renting out 255 units, and make $25,500. Not a bad haul. But, as the great manager that you are, you want to get your occupancy rate up to 90%. A 5% increase sounds reasonable. To achieve this, the most obvious thing to do is to lower your prices. All your competitor’s price their units at $100/month as well, so you drop to $90 a month to undercut their prices. Economics tells you that a lower price point will increase the demand. Can you predict the problem? Now that you’re charging $90/month, you fill up 270 out of the 300 units for a 90% occupancy rate. Sweet! But…. you only make $24,300. That’s $1200 less than you made at a $100 price point. The decrease in price had a greater impact than the increase in occupancy, so you end up net negative. Now, this example is completely hypothetical, and the math isn’t quite that clear cut. Still, it illustrates an important point. If you’re only looking at unit occupancy or even square foot occupancy, you miss out on revenue, the real metric that matters. If you’re not careful, you may end up chasing the wrong number and drop your prices to a point where you lose money. The problem may also be delinquencies and failed payments. 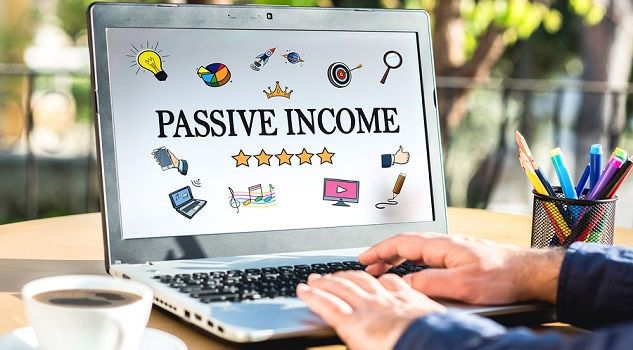 These can make it look like you’re occupied while slowing cutting back your revenue. Now that you have a sense of what all these numbers mean and how to find them, it’s time to start using them together. Your storage facility will work best when you’re considering all three rates. Here are two scenarios where you might use all three occupancy rates in conjunction. Scenario 1: You’re running at a 95% unit occupancy rate. However, money seems a little tight, so you crunch the numbers and find you’re at a 60% economic occupancy rate. This means you’re losing money somewhere. After more digging, it turns out dozens of renters signed up for your biggest storage unit size during a promotion. They’re paying less than they could be for that size. You raise the price back up to normal (with some great customer relationship methods). This closes the gap between your unit occupancy rate and your economic occupancy rate. Scenario 2: Your square foot occupancy rate is very high, as is your economic occupancy rate. Yet, you notice the unit occupancy rate is pretty low. It’s clear to you that most of your 5×5 units are empty. This leads to some more investigation, and you find that the average rent length on these units is small. People seem to only store there for a month at most. With this knowledge, you come up with a few ideas. You could convert them into larger storage units. You could also raise the price of these units to see if you can make more off the short term rentals. Or you could decide to hold a promotion to see if you can’t fill up these small units and still make a little money. Occupancy rates can be hard. Even after you determine what they are, it’s a different story trying to keep them high and profits stable. Here are some industry benchmarks to help you know whether you’re on track in your occupancy. The first is a break-even occupancy rate. Obviously, this metric factors in more numbers normal occupancy rates can tell you. It considers debts, taxes, operating expenses, etc. That said, real estate experts suggest that a 60-72% unit occupancy rate is the break-even point. As for the current industry occupancy rates, this number is also a bit broad. The data shows that anywhere from 70-90% occupancy is standard. Anything above 90% unit occupancy is well managed. However, remember again that a 90% unit occupancy rate might be deceiving. You always want to check the square foot and economic occupancy rate to stay on track. In the self storage industry, expect your economic occupancy to hover below both unit occupancy and square foot occupancy. Try to keep that number within 10% of the others and you’ll be in good shape. After learning about these rates, it’s clear that you have to be careful when trying to increase your occupancy. Too many promotions, price cuts, and discounts, and you’ll end up worse off. 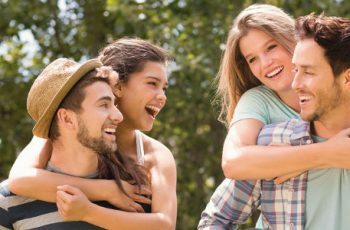 Your goal is to increase the unit and square foot occupancy rate while also nudging that economic occupancy rate higher, not lower. Paying to list on Squarefoot or other storage aggregators will only get you so far. While it may increase your occupancy, it comes at the expensive of your customer acquisition cost. 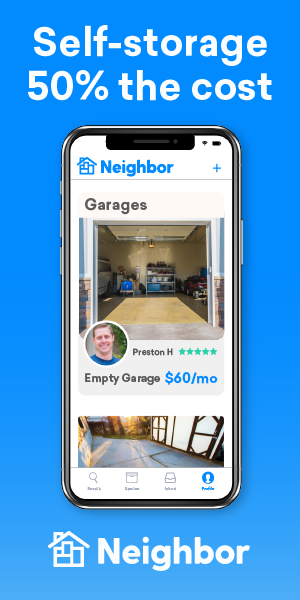 On the other hand, listing your storage spaces on Neighbor gives you actual customers, not leads. Not only do we list your space, but we provide customer support, guaranteed payments, and even perform auctions. This lets you take part in the sharing economy. We help you raise your occupancy rates without compromising your competitive prices. See how Neighbor can help storage facility managers grow their occupancy and their business. Please include attribution to https://neighbor.com with this graphic.